Put three incredible emcees on an album together over amazing ¡MAYDAY! production and you get ¡MURSDAY!. Put them in front of a microphone on BET? This is what you get. 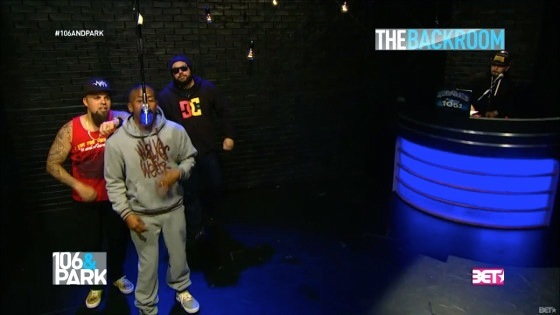 Check out Bernz, Wrekonize and MURS decimate the beat on their appearance on 106 And Park’s Backroom Freestyle. There’s not much else to say about the rhyme session other than a) these guys are incredible and b) more Strange Music artists need to appear on this segment. What’d you think of the rhyme session?